That's my point. Regardless of who was out there seeing that pocket presence is awesome. I also agree that the Kelce throw was perhaps the more encouraging one since that's the one that will be a better indicator of the qb he can be. The deep throws are fun, but that’s not what’s gonna make or break him. That's my point. Regardless of who was out there seeing that pocket presence is awesome. I also agree that the Kelce throw was perhaps the more encouraging one o since that's the one that will be a better indicator of the qb he can be. There' an angle on that throw to Hill that shows that he hadn't cleared that triple team yet when Mahomes releases that ball..
That shows great anticipation by Mahomes. When Pat is in his throwing motion Tyreek is looking towards the right side of the field, or at the defender to his right possibly. 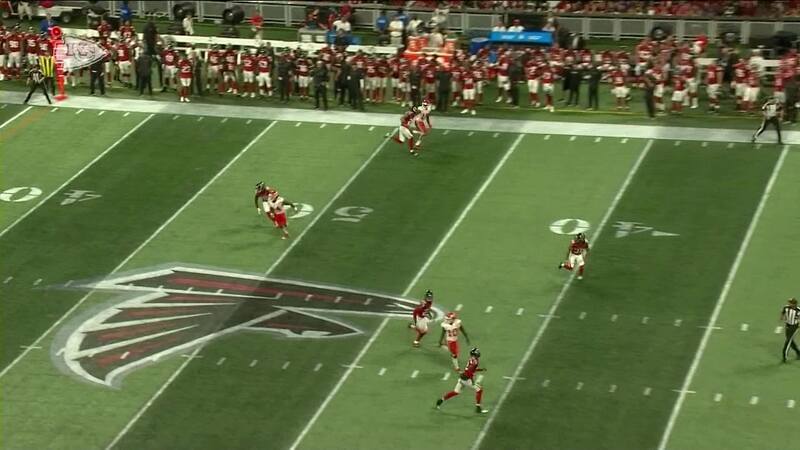 So this is about where Tyreek actually was when Pat actually started his throw. I think Pat basically saw that and thought Tyreek could out run the defender on his right to a spot on the right side of the field. 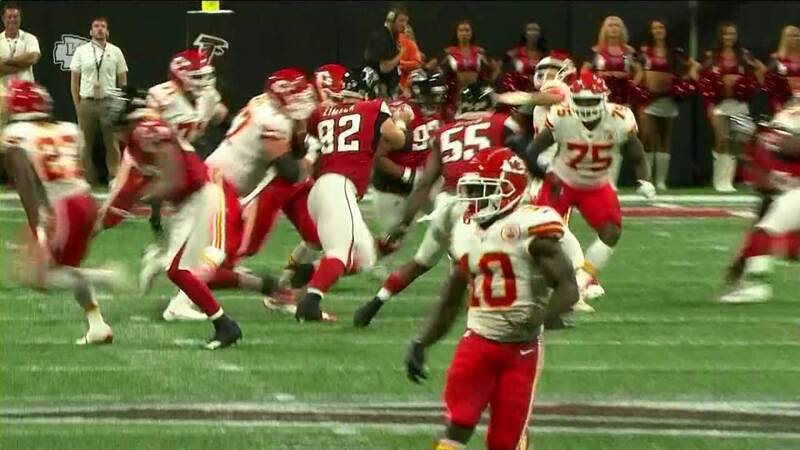 Tyreek was looking to see who he had to outrun and Mahomes had total faith that Hill would be where the ball was thrown. This is gonna be fun to watch no matter what happens. Watching it at that angle you are correct. Sign me up for multiple great anticipation throws in that game. 4 seconds from when it was hiked until he threw it. That's all it will take for Mahomes and Hill to see and make a 70 yard TD. 4 ****ing seconds. This makes sense to me but Watkins and Mahomes are going to have to show better chemistry soon or I’m afraid Mahomes won’t look his way too often. I'm not sure why there is a lack of chemistry but something tells me it has more to do with Sammy and not Patty. Maybe he's just holding back in preseason with all the injuries he's had. How long until you die from too many boners? A quick Google search says that if you use condoms, pace yourself, stay hydrated and use plenty of lube...you should be ok with no more than 11 boners. Stretch beforehand and plan on not sitting for most of the next day. How do they figure 63 air yards? It's almost 70 pure vertical yards, not to mention the added horizontal yardage. I'm guessing from the line of scrimmage. Regardless, that was a phenomenal throw and an equally phenomenal job by Hill. My guess is that he'll outhrow this one by several yards at some point in his career. Even if he never does the threat will always be there. This is exciting. Very, very, exciting. I'm guessing the collective faces of the league looked eerily similar to Eli Manning's various expressions. Their collective roar probably sounded like "oh fu*******."